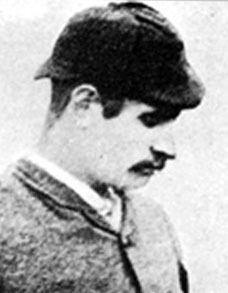 Founded by Jack Simpson, the 1884 Open Champion, in 1893 with his brother Alexander. Jack served his apprenticeship with A H Scott in Elie under Scott's uncle, George Forrester. He worked for his brother Robert Simpson in Carnoustie from around 1885-88. Jack died from typhus in 1895 but his initial remained in the firm's name. He has one spell as a golf professional, spending the season of 1884 at what is now Royal Belfast. Clearly they sent their clubs around the world: the Hawke’s Bay Herald of 1899 in New Zealand, for example, carried advertisements announcing the imminent arrival of Simpson clubs, ‘all priced 7s 6d”.